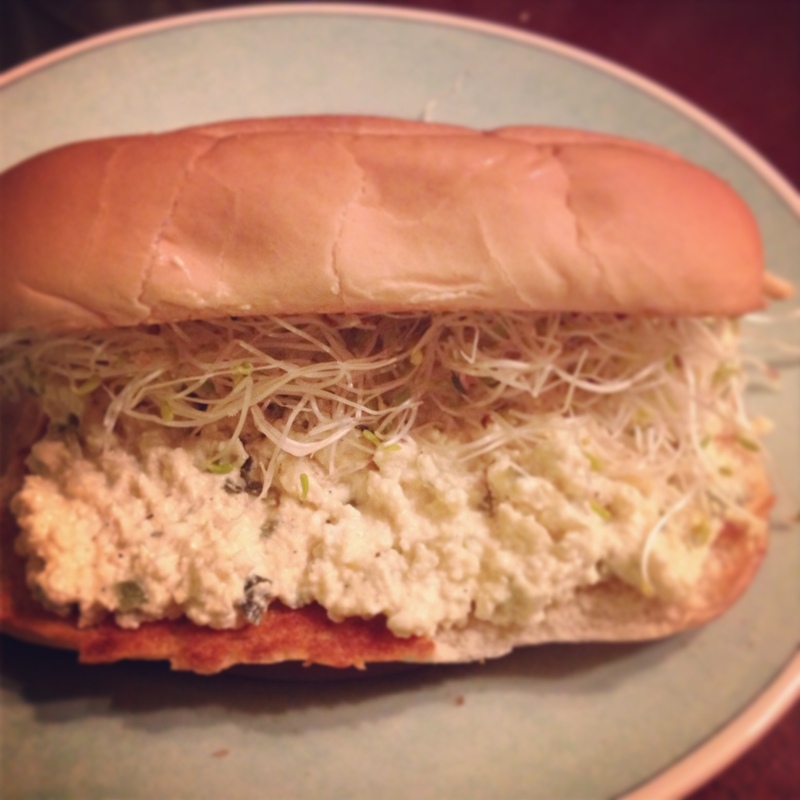 This easy vegan egg salad calls for the addition of black salt (kala namak). You can make it without if you can’t find it, but the black salt really gives it the “eggy” flavor! Squeeze as much water as possible out of the tofu and crumble into a bowl. Add remaining ingredients and mix well until incorporated. Make sure not to mash it too much, you want some small chunks to mimic the egg. Serve on bread with sprouts or greens or on crackers.